For the first time in fifty one years Bann successfully hosted, and retained, the Northern Ireland J16 eights Championship, and with it the “Craig Cup”. 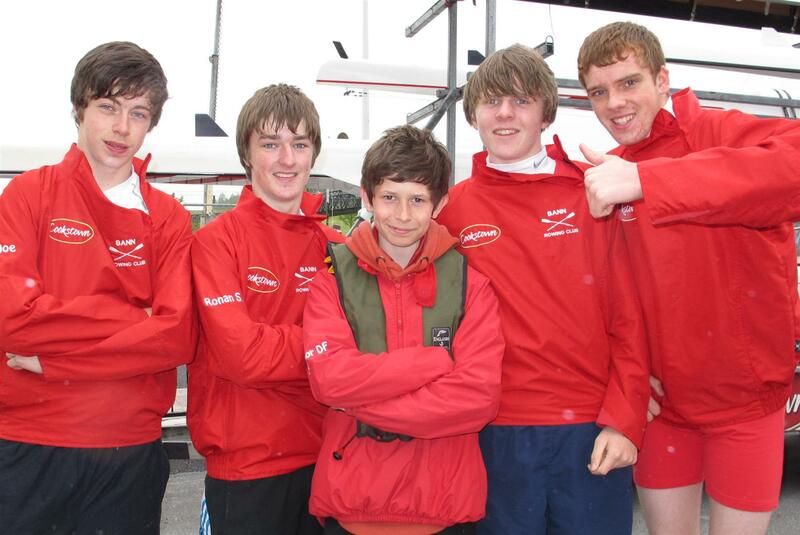 Bann remains the only “non-grammar” school Rowing Club to have ever won this Championship, illustrating clearly their empasis on developing top class Junior Rowing. 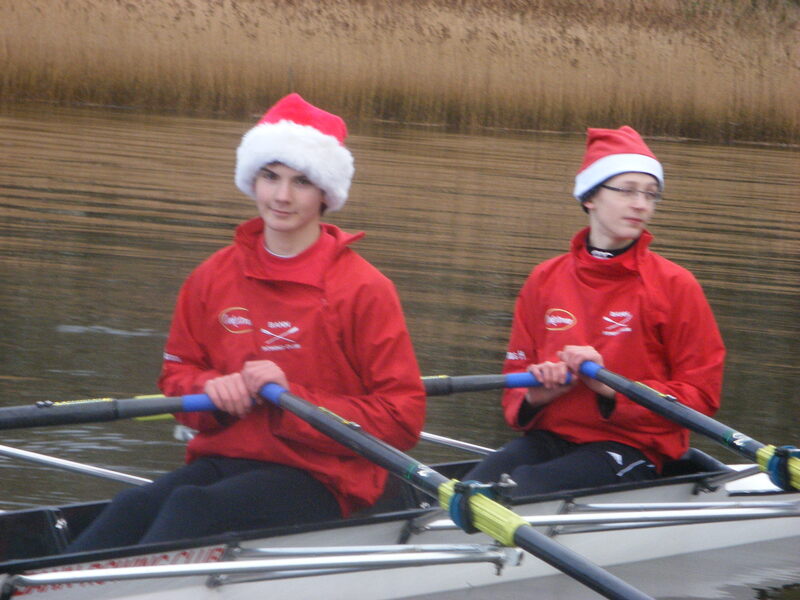 The crews from Coleraine Inst, Methody and Bann had to contend with strong head wins during the initial 1,800m time trial element of the Championship and despite the difficult conditions all boats had achieved exceptionaly fast times resulting in a sparkling “side by side” final between Methody and Bann. The 2010 event would be a repeat of the 2009 final, between two very strong and well supported clubs. As well as the home crowd a huge contingent of parents, pupils and supporters had travelled from Belfast to enthusiasticaly support their Methody crew. 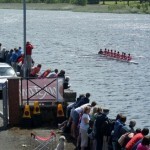 At the start of the final itself, both crews left the stake boats like rockets but the rowing technique of the Bann crew soon saw the bows of “The Sizzler” take the lead and by the Fortsandal Bridge the sheer power, length and quality of their rowing had increased the lead to two boat lengths. With the choppy conditions, and the North wind now blowing stronger than ever, the race speed of both boats meant they were taking some water on board. 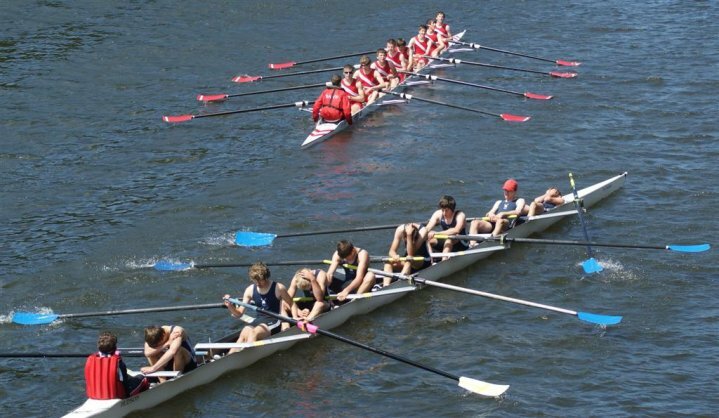 Undetered both boats surged again at the 500m marker to set up a dramatic finish. 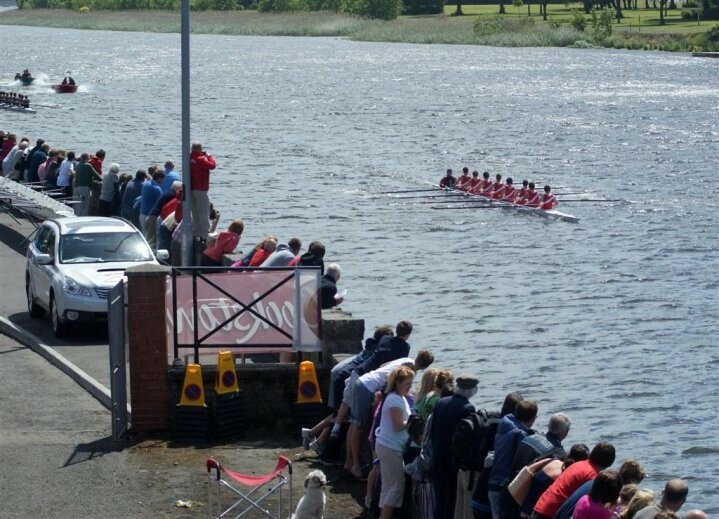 The scarlet colours of Bann swept into view first and a huge cheer went up from the gallery of spectators packed at the Bann Boathouse and all along the Bann wall. 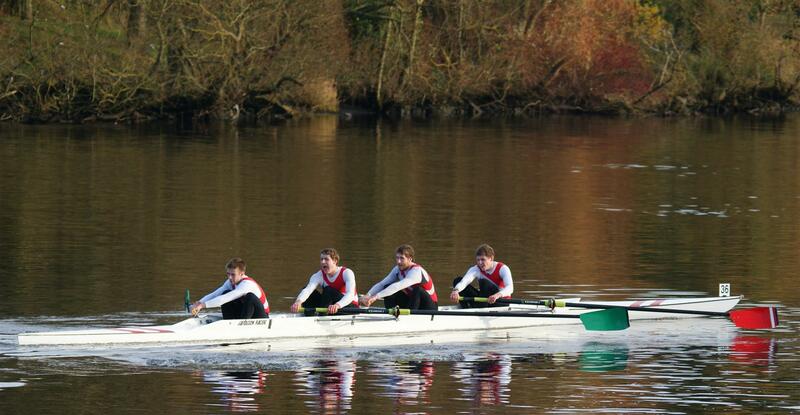 On the finishing line the Bann crew had won it, with considerable style and a healthy four length margin. Club President Bobbie Platt MBE commented that this was undoubtedly the best organised and supported “Craig Cup” and that he himself had been to almost all 50 previous ones. He said it was a great honour for boys to row in the “Craig Cup” and many Olympic rowers had started their careers in this excellent event. “Not all of them won it either.” Bobbie humourously concluded. 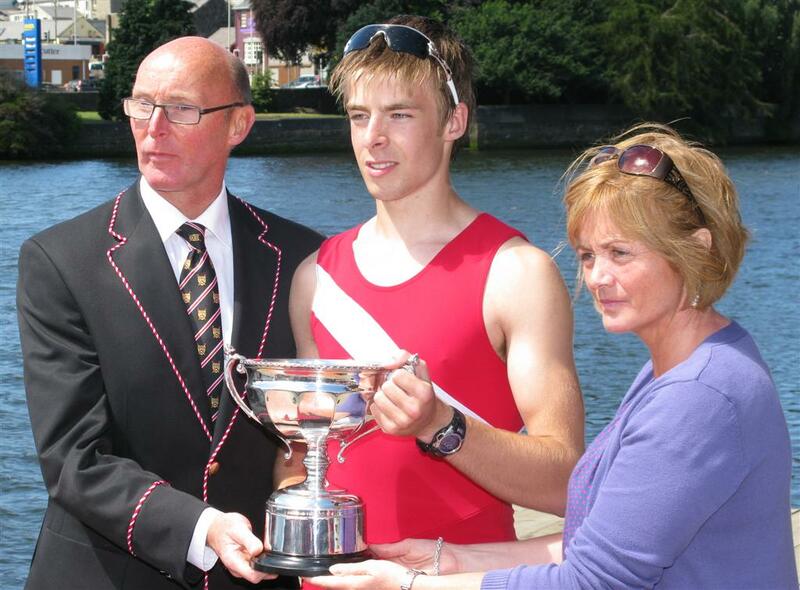 Mrs Gillian Chambers when presenting the medals, and the “Craig Cup” to Joel Cassells, the winning Bann stroke, congratulated everyone on the success of the whole regatta and expressed her delight that the Bann men had taken her words to heart when they ensured that the bowball of the new Bann boat, “The Sizzler” would cross the winning line first. Bann Club captain Keith Leighton thanked “Cookstown Meats” for their generous sponsorship of the “Craig Cup 2010” and received a huge cheer when he said that every rower on the day, some 68 people, had won, not only great honour, but a special “Cookstown Sizzler” goody bag to take home to remember the occasion by.